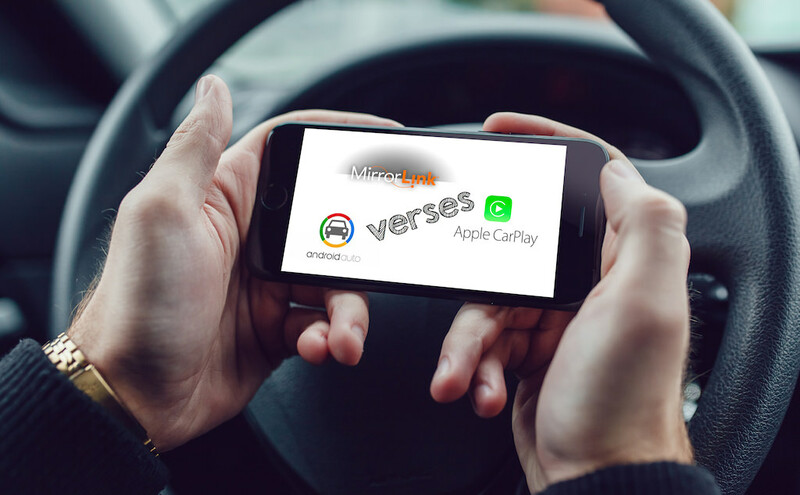 Over the last few weeks we have been going through the latest connectivity options available today for your vehicle’s entertainment system. In each review we found the same general PROs and CONs. Namely that having a connected infotainment system keeps your eyes on the road, and that they are proprietary so each one is only suited to people in that ecosystem. Below we round-up each of our articles and point you towards the info you need to make an informed choice. Personalized experience: These are your apps, your messages, your songs, your playlists, etc. No need to channel surf on the radio, just plug your phone in and you have control over your favourite tunes already. Zero access to your phone: While the app is running, you cannot use your actual phone for anything else and are forced to use the dashboard display. This will keep you from getting distracted by texting, scrolling through lists of songs or files, and third party apps. All-in-one access: Rather than buying a lot of separate gadgets and hooking them up to your car, these apps combine all the most useful things you could think of into one convenient interface. Which one is best for you? That really depends, but the shortest possible answer is to go with the one that is made by the same company as your phone. Google and Apple probably won’t be cooperating anytime soon, so there will be some fragmentation in the market for some time. Our new vehicles have great screens, but do they have an intuitive user interface? Not really. This is where Silicon Valley comes into the picture. Let’s look at Apple’s take on a handsfree UI and see how it fits the bill. Car manufacturers knew they should put beautiful screens in our new cars, but making an intuitive interface was not really their speciality. This is where Silicon Valley comes into the picture. Let’s look at Google’s take on a handsfree UI and see how it fits the bill. Up until now we have been looking at closed aftermarket options for connecting your digital life to your vehicle. Android Auto and Apple CarPlay are wonderful options, they are also proprietary. For this reason, we thought we should take a moment and outline MirrorLink, a completely open source option.